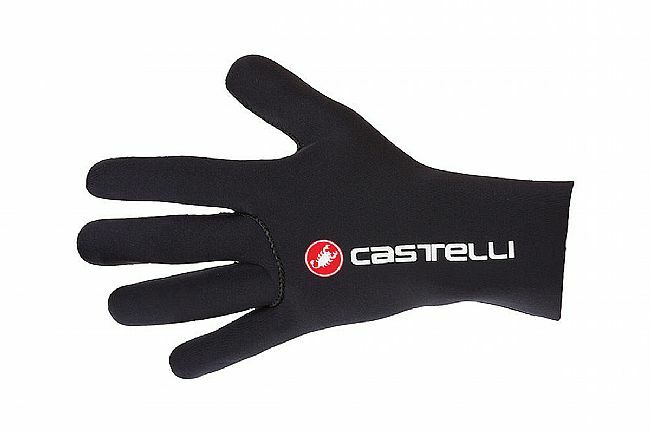 The Men’s Diluvio C Glove from Castelli features full-finger, stretchy neoprene construction with thermally welded internal seams and sewn external seams for exceptional protection in wet riding conditions. 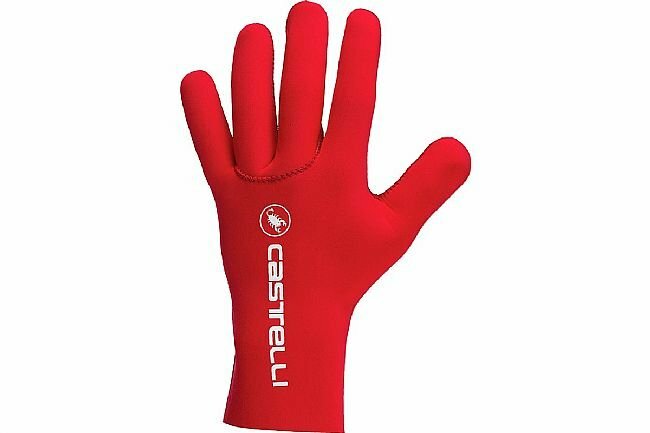 This glove has an extended cuff, like its predecessor, the Diluvio Light Glove, for comprehensive protection - wrist to fingertips. The Diluvio C is warmer than the Diluvio Light, providing reliable warmth in temperatures ranging from 41 to 61℉ (5-16℃), whereas the Diluvio Light is suited for 50 to 68℉ (10-20℃). 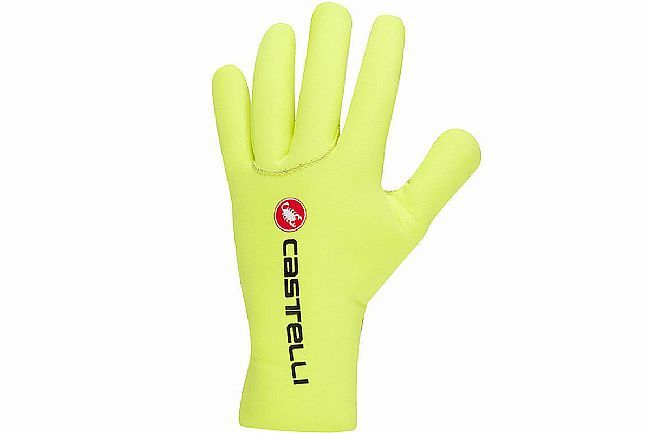 Silicone dots on the palm ensure a secure grip in wet, slippery conditions.